Sometimes you want to browser the Internet securely and anonymously, with no trace of what you’ve been doing left on your PC. There are many reasons why you might want to do this, such as checking your online banking on a public computer in a hotel or remote office, to shopping for presents for your partner. 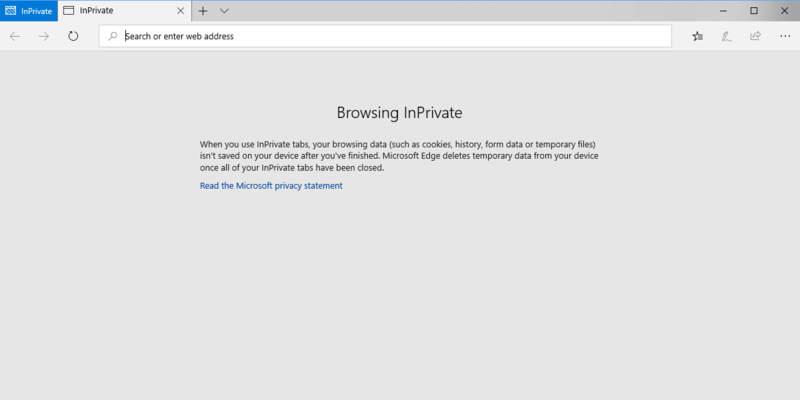 In the Edge browser in Windows 10 this is called InPrivate mode, and there are several ways to open an InPrivate browser session. 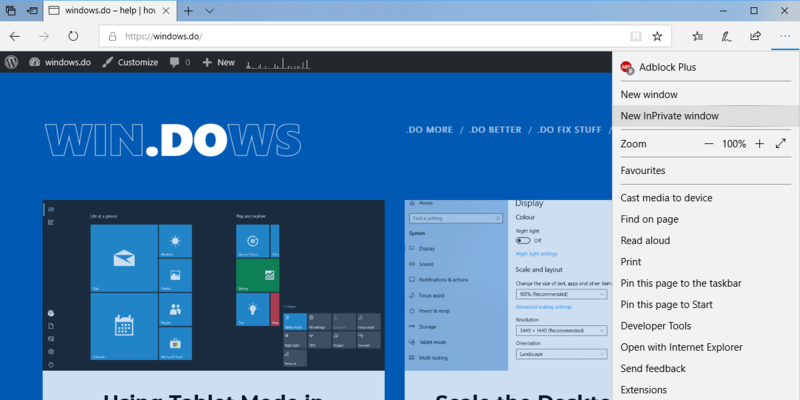 Perhaps the easiest is with Microsoft Edge open. Click the menu icon (three horizontal dots) in the top right corner of the window and from the menu that appears click or tap New InPrivate window. You can also open a new InPrivate window by right-clicking on the Edge browser icon and from its jumplist or pop-out context menu select the option there. Note that this also works with other web browsers such as Google Chrome. With the new InPrivate window open you will be told that “When you use InPrivate tabs, your browsing data (such as cookies, history, form data or temporary files) isn’t saves on your device after you’ve finished. Microsoft Edge deletes temporary data from your device once all of your InPrivate tabs have been closed”. This means you can now search online for that perfect birthday present in complete secrecy.